Our Caregivers are the heart of our business and the most important members of our team. We use amongst the highest standards in the industry in the selection of our care providers, and hire less than 10% of applicants. 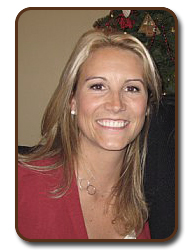 Adrienne founded Canopy Home Care in 2009. Adrienne has enjoyed a successful career in health care, and holds a Bachelor of Arts in Human Biology from Stanford University, as well as a Master’s in Public Health and an MBA from UCLA.